Baky was great from start to finish. He was on time, knowledgeable, and went the extra mile. He stuck to his quote and did exactly what he said he was going to do. We've since had inquiries for magazine and commercial shoots on the deck. I got quotes and contacted a number of builders. 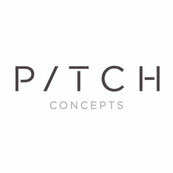 After interviewing all of them and seeing what Baky did, I wouldn't hire anyone else besides Pitch Concepts!